Title: Be It Ever So Deadly! Synopsis: Less than a day has passed since the combined forces of the Microverse overthrew the tyranny of Baron Karza. Bug awakens surprised to be back on his home planet of Kaliklak, but soon restores ties with his old gang in order to lead a rebellion to take back control of his planet from the Colonial Governor and Baron Karza's Dog Soldiers. 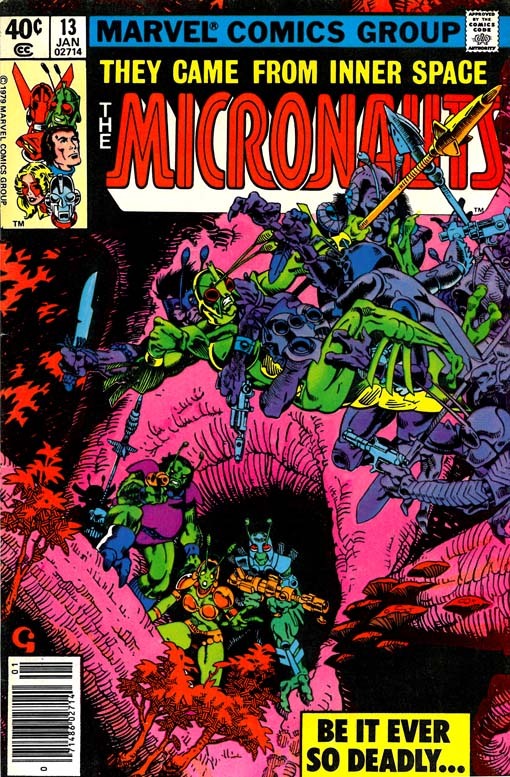 On Homeworld, Arcturus Rann grows bored with rest and recuperation and uncomfortable with the adulation after their great victory, deciding that he wants to reassemble the Micronauts to explore the Microverse.